Hemp seed oil, pressed from the seeds of the Cannabis sativa plant, is making a comeback, not just as a source of fibre for textiles, but also as a crop packed with oils that have potential health benefits. Long been stigmatized because of its "high"-inducing cousins, hemp - derived from low- hallucinogenic varieties of cannabis - have high levels of vitamins A, C and E and beta carotene, and is rich in protein, carbohydrates, minerals and fibre. Maria Angeles Fernandez-Arche and colleagues note that for millennia, people around the world cultivated cannabis for textiles, medicine and food. With increasing interest in plant oils as a source of healthful compounds, Fernandez-Arche's team wanted to investigate hemp seed oil's potential. 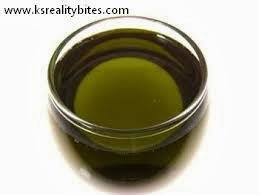 The researchers did a detailed analysis of a portion of hemp seed oil. They found it has a variety of interesting substances, such as sterols, aliphatic alcohols and linolenic acids, that research suggests promote good health. For example, it contains linolenic acid, which is an omega-3 fatty acid that some studies suggest helps prevent coronary heart disease. The research is published in ACS' Journal of Agricultural and Food Chemistry. Hemp seed oil, which contains Omega 3, 6, and 9, is a great alternative to fish oil. The essential fatty acids help restore health and immune function. It is said to help with eczema, asthma, heart disease, high blood pressure. It is not only used to nourish dry skin but blotches and lesions as well. It can detoxify the skin and even out skin tone. It is also a natural sunblock. It has unequalled anti-inflammatory properties.